We want to share an article and a tool to address a topic that has come up multiple times in the last few weeks as we work with organizations. Did you know that it is impossible for you to achieve the best results in your organization without productive conflict? It’s true. 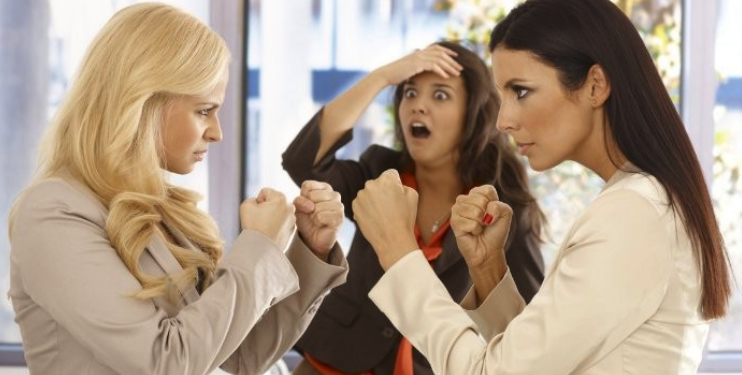 Productive conflict improves your business results. Yes, but— what if I do everything possible to avoid conflict? None of us really enjoys conflict, but some of us rush to conflict so we can get to the other side- to find a resolution and reach a happier place. Others know they need to address conflict, but need a process to help manage the conflict without getting paralyzed by their emotions. Others want to ignore conflict completely, which makes conflict even more emotional and can be damaging to your relationships and to your health. Sticking your head in the sand is not a good option for dealing with conflict if you want to create a culture where people look forward to coming to work on Monday. Click here to read an article by Daniel Goleman, author of the bestseller “Emotional Intelligence”. Summary: Managers and leaders who view conflict as an opportunity rather than a problem realize tangible benefits. Read the article to learn about key competencies to resolve conflict in a productive manner —and for the most critical skill of all. If you are searching for a tool to help you manage conflict at work, we have have just introduced a brand new tool called Everything DiSC Productive Conflict. Workplace conflict is inevitable. Everything DiSC® Productive Conflict helps learners improve their self-awareness around conflict behaviors. Rather than focus on a step-by-step process for conflict resolution, EverythingDiSC Productive Conflict helps leaders become aware of destructive behaviors so that conflict can become more productive, ultimately improving workplace results and relationships. If you want more information, please let us know and we will provide a sample of this survey and share how it has been used to help teams and leaders work together more effectively.